Welcome to OCD Awareness Week! From October 8 to 14, do all you can to increase awareness of the reality and meaning of obsessive-compulsive disorder. Sadly, so many still do not know what OCD entails, choosing instead of fall back on stereotypes and “jokes” about this debilitating and very real disorder. I am in Utah for a good chunk of this week doing my part to spread knowledge and facts about OCD as I promote awareness and my new book, The OCD Mormon. I will also be featured on KSL Channel 5 at 11 a.m. on Tuesday morning (Utah time). 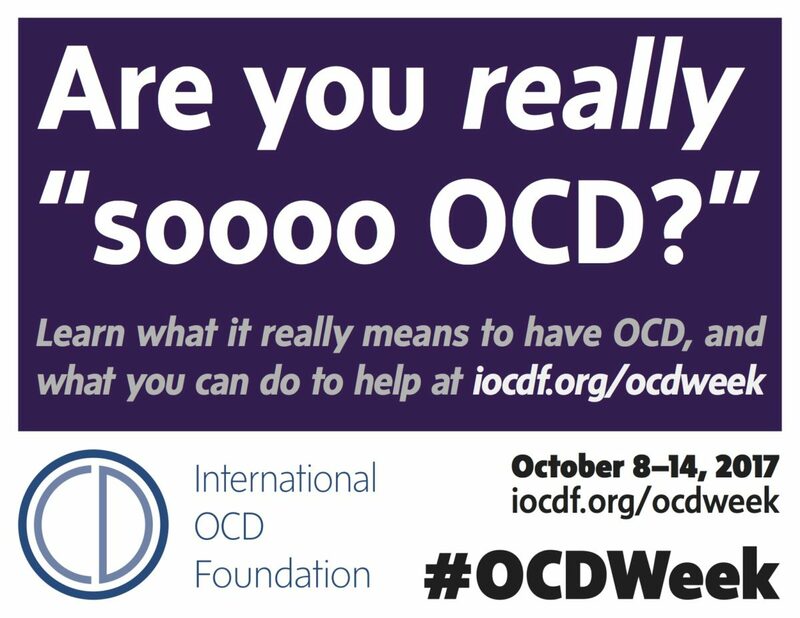 If you are not in Utah and still want to do something for OCD Awareness Week, visit the iOCDF website here. They have tons of great ideas, events, and information. Please consider helping out this week! Anything helps! What plans do you have for OCD Awareness Week?